The gut microbiome is filled with bacteria and other microbes that assist in the digestion of the foods we eat. While there are some bacteria that are harmful to us, many of the bacteria in our digestive tract are beneficial, helping to withdraw nutrients and vitamins from our foods through the digestion process. In addition, these bacteria help to boost immune function and can even influence other aspects of our health. In a study that was released in 2014, researchers revealed that each person's DNA actually influences what kinds of bacteria are able thrive within his or her microbiome. Furthermore, for each individual, the population of bacteria in the gut is different, a fact which scientists now believe may play a role in determining which people are likely to become obese or overweight. Other recent studies have found that the health and diversity of the gut microbiome may even influence how the immune system fights cancer or stroke. The process of populating the microbiome begins with the development of the fetus. As the fetus develops, the digestive tract is exposed to the microorganisms from the mother's gut microbiome, as well as bacteria from the immediate environment. This mixture of microorganisms comes together to form a unique microbiome in the infant's digestive tract. Even after birth, the baby's microbiome is still developing. This is why there's more bacteria in the digestive tract of a breast-fed baby than in the digestive tract of a formula-fed infant. Even throughout adulthood, we believe the gut microbiome continues to change or evolve in accordance with changing diets, environmental influences and lifestyle choices. This is good news, because it suggests that we can consciously alter our gut microbiome through changes in lifestyle habits and diets. Why would we want to alter the bacteria in our guts? The reasoning lies in recognizing that, when it comes to overall health, certain bacteria affect specific risk factors. For instance, we know that the bacteria called Christensenellaceae minuta is more often found in the guts of people with low body weight. Similarly, a deficiency of Prevotella, Veillonellaceae and Coprococcus is common in children with autism. If we can learn more about the bacteria in our microbiome and how they affect overall health, it may be possible to manipulate the gut microbiome to live healthier lives. A stroke is a common occurrence in modern times, and the Center for Disease Control estimates that a stroke affects someone in the U.S. every 40 seconds. This is a particularly unsettling statistic, when you stop to consider how severely a stroke affects the human body. While a stroke is considered to be a cardiovascular event, it primarily affects the brain by cutting off the flow of oxygen-rich blood. This means the brain isn't getting the oxygen it needs to feed cells, causing cell die-off. In addition to the potential for brain damage, new gut bacteria research indicates that the population of bacteria in the digestive tract may also be affected by stroke. Working with rodents, test subjects were divided into two groups. The first group of mice were subjected to ischemic strokes, while the second group consisted of healthy mice. The researchers evaluated the health of the mice in each group at regular intervals. The research team found that, unlike the healthy group of mice, the group of mice subjected to strokes had elevated levels of a specific bacteria called Bifidobacteriaceae. The presence of Bifidobacteriaceae was found at 14-day and 28-day intervals, suggesting the increase in these bacteria was a long-lasting result of the stroke. Bifidobacteriaceae is a member of the Bifidobacterium family and is considered a healthy probiotic that enhances gut health. The presence of Bifidobacteriaceae may also precipitate better recovery in those who've suffered from a stroke. The news wasn't all good. The team also found heightened levels of bacteria belonging to the Helicobacteraceae family; a group of bacteria which have been linked to poorer health outcomes. Additionally, the mice that had suffered from strokes exhibited a significantly higher Firmicutes-to-Bacteroidetes ratio. This type of imbalance has been linked to a greater risk of inflammation, obesity and diabetes. Finally, researchers noted changes in the intestinal tissue of the stroke subjects which could cause poorer absorption of nutrients, thus also hindering recovery. 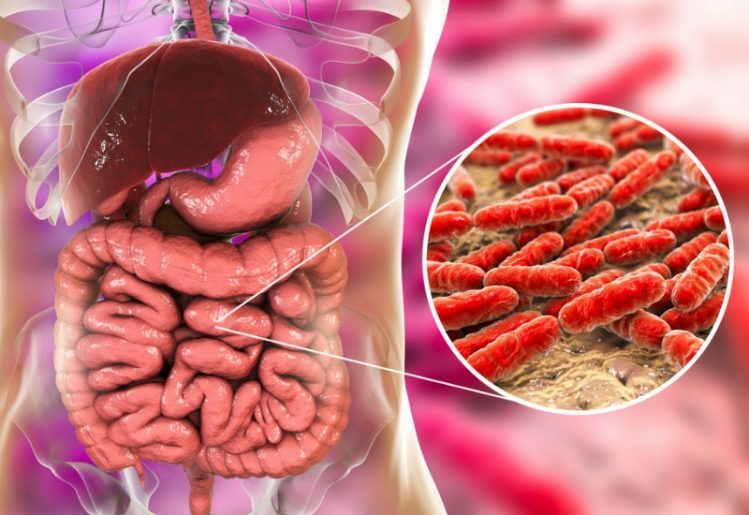 The discovery of negative effects in the intestinal tract of subjects who had suffered from a stroke open the door to the possibility of encouraging recovery from stroke by manipulating bacteria in the gut. The research team hopes to continue their studies, focusing on a way to treat the symptoms of a stroke by focusing on the health of the gut microbiome. Can a Healthy Gut Microbiome Help Fight Cancer? 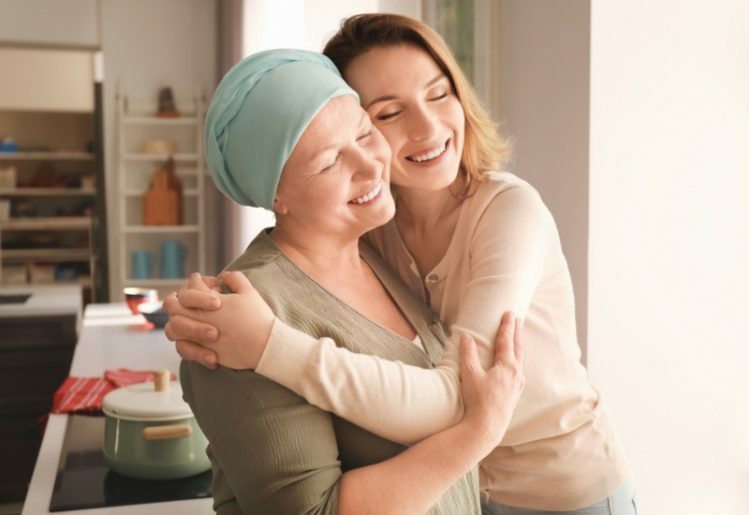 In another study, which was conducted at the University of Chicago, researchers found that 11 strains of bacteria in the gut help slow the progression of tumors in the body. Using mice as test subjects, the team found that the UPR, or unfolded protein response, served as a link between the gut bacteria and the immune system's tumor-fighting capabilities. Since UPR is responsible for keeping cells healthy and clean, its presence can indicate which patients are more likely to benefit from immunotherapy treatments. The study used a test group of mice that lacked the RING finger protein 5 (RNF5), which helps cells identify improperly folded proteins. The mice in this group were more successful in fighting off melanoma, provided their immunity and gut bacteria was also healthy. The researchers also discovered that housing these mice with RNF5-rich mice inhibited their ability to fight off the tumors. In another phase of the experiment, the 11 strains of bacteria were transplanted into mice that had been previously free of the bacteria. Once transplanted, the new strains turned on the tumor-fighting capabilities of the immune systems in these mice. This suggests that the 11 strains of bacteria identified in the study may boost the immune system's cancer fighting capabilities. The team concluded the study by suggesting that UPR may be useful as a biomarker in determining which individuals are more likely to benefit from immunotherapy. Additionally, there's hope that further research will help uncover the anti-tumor molecules produced by those 11 strains of bacteria. In the future, the research may lead to more effective customized cancer treatments.